Posted by Jon in Hasbro, SDCC 2018, Star Wars with 2 comments. Our first Hasbro San Diego Comic Convention exclusive announcement for 2018, and a Star Wars one no less! With the return of the 3.75-inch Vintage Collection, Hasbro is offering up a special Doctor Aphra Comic Box Set. 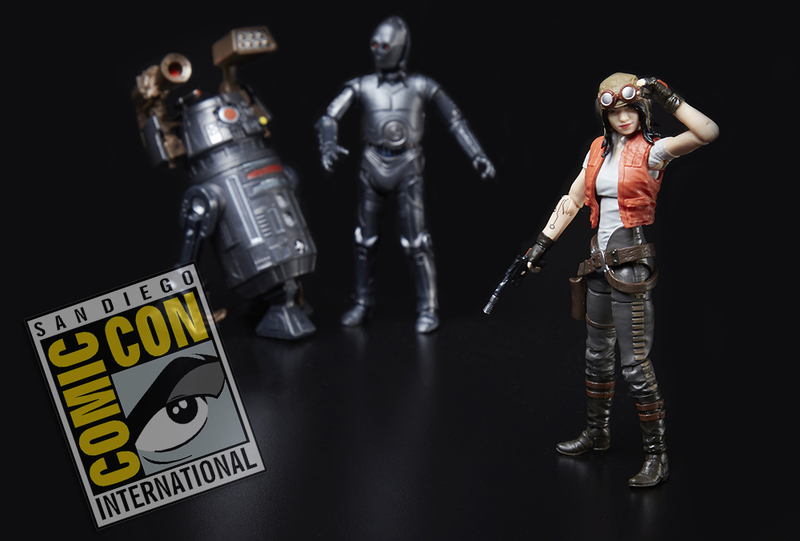 If you weren’t already aware, Doctor Aphra is slated for the second wave of the Vintage Collection, which should be hitting stores this summer. However, this set also comes with two killer droids: 0-0-0 (Triple Zero) and BT-1 (BeeTee). Really hope we get the droids in the Black Series… I think we’re getting Aphra from a fan favorite vote thing.. same reason they gave us Jaina.